From concept to completion, whether mobile or permanent, Tiny Homes Perth's services include the design and construction of mobile ablution blocks. 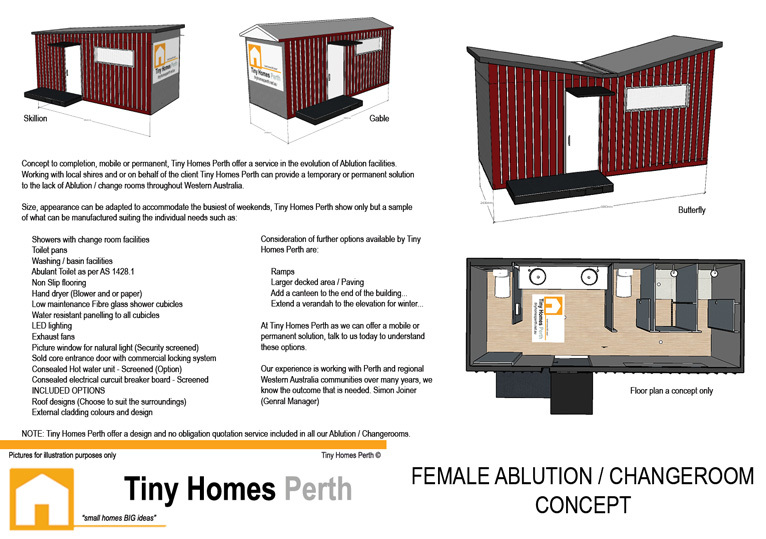 Working with local shires or on behalf of a client, Tiny Homes Perth can provide a temporary or permanent solution to the lack of ablution blocks / change rooms throughout Western Australia. Call us to today to discuss your needs.